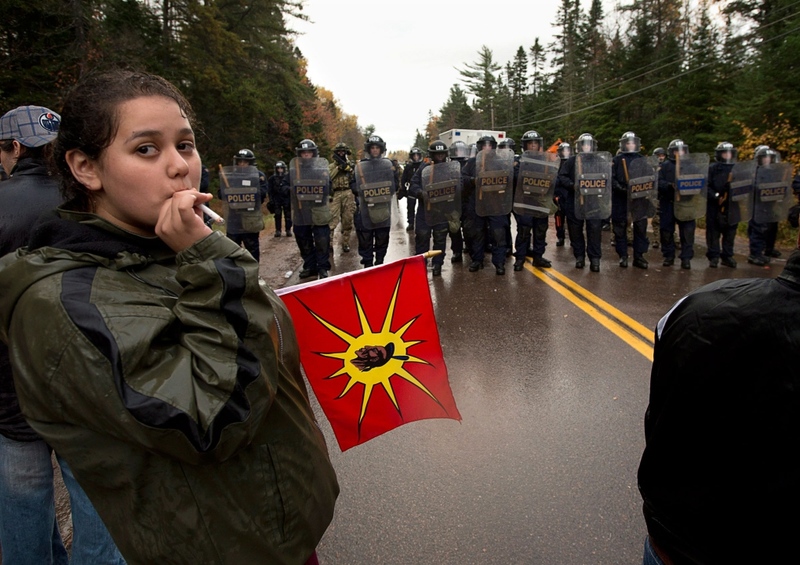 Women warriors at a tire fire blockade on Hwy 11, Dec 2, 2013, during resistance to SWN exploratory work for fracking in New Brunswick. The New Brunswick government has extended for an indefinite period its ban on hydraulic fracturing, saying the jury is still out on the risks to public health and environment from the controversial practice. The province has faced major divisions over proposed shale gas development, with industry arguing it would spur the economy and boost job creation, but many residents and First Nations activists fearful of the potential environmental impact of fracking – the technique of using chemically laced water under high pressure to break rock and extract natural gas or oil. New Brunswick’s top doctor was fired by the provincial Liberal government to clear the way for the lifting of a moratorium on shale gas exploration this spring, according to the leader of the provincial NDP. 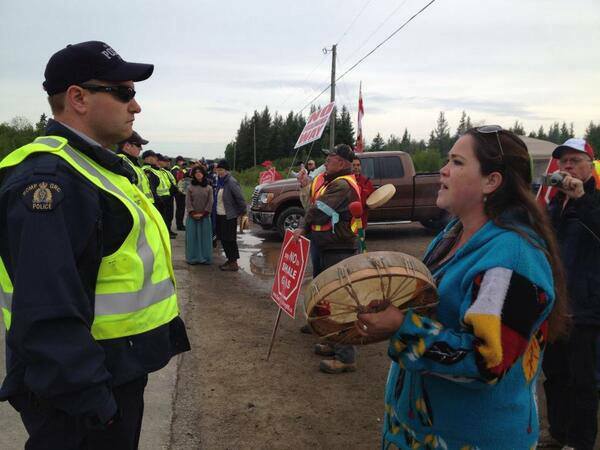 New Brunswick: truck seizure, road block, ends peacefully despite RCMP negotiation failure. 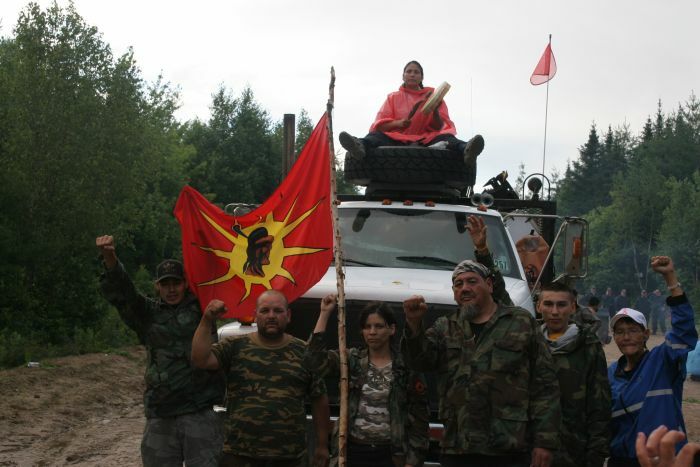 Warriors in front of blocked SWN truck near Elsipogtog, New Brunswick. SWN contractor flees from angry crowd. 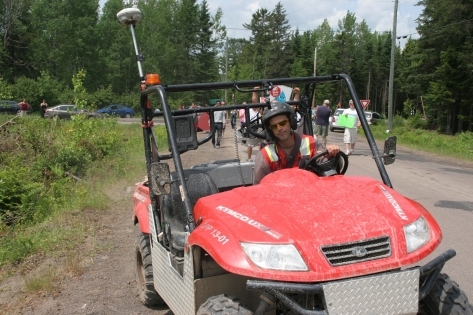 BROWNS YARD, NEW BRUNSWICK – By Sunday, June 23rd, SWN Resource Canada’s highly contested and protested seismic testing along highway 126, in Kent County, New Brunswick, had almost wrapped up. 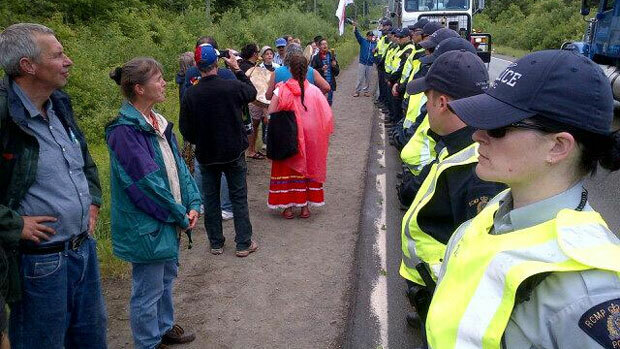 Twelve people were arrested during shale gas protests on Route 126 in New Brunswick Friday. 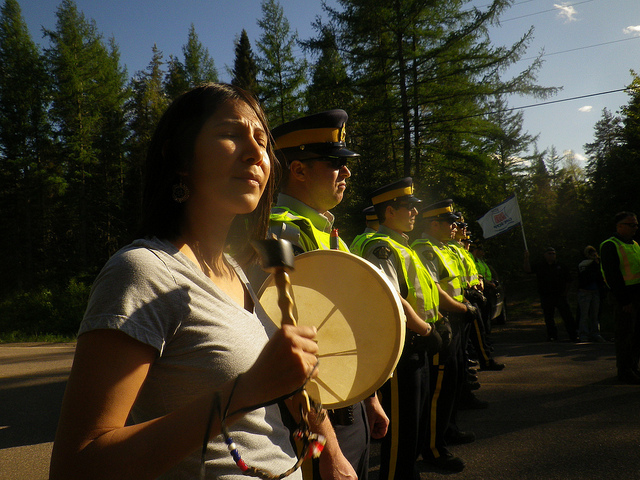 The RCMP have arrested 12 anti-shale gas protesters on Route 126 near Harcourt, N.B., on Friday morning. 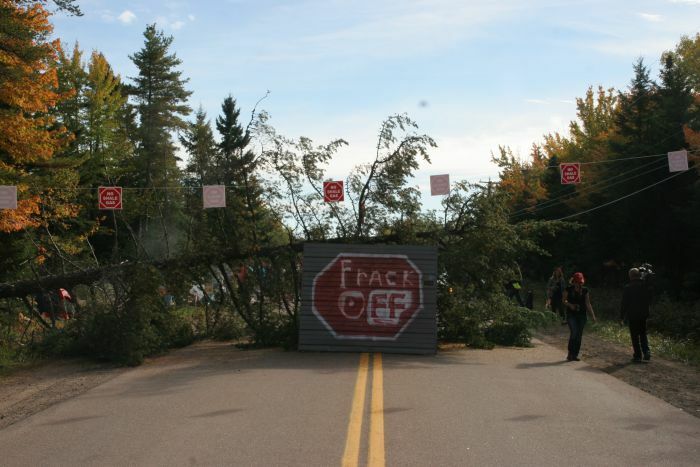 Anti-shale gas protesters were arrested on Sunday after equipment owned by SWN Resources Canada was damaged, according to a government official. The reasons for the arrests on Sunday are conflicting, however.